No matter how long my flight is I always have to have snacks and water with me. I get thirsty really easily from my medication so I usually buy a big bottle of water once I get through airport security to bring on the plane with me. If my flight is longer I'll try to grab two bottles that way I have some extra. Since I also have crazy food allergies bringing snacks with me is always a must so that I know I'll have something to eat on me in case I need it. Gluten free pretzels and peanuts are two of my go-tos, but I also love to get some fun treats like candy or chips and since I don't eat those things often it makes my flight even more fun! I typically put together a playlist for when I'm traveling so I have to have my headphones with me on the plane to listen to it. I'm a big fan of popping on music when I want to sleep and then putting on my headphones to block out all of the noise around me. The Regent headphones from Sudio are perfect for that because they do an amazing job at blocking out noise with their studio quality sound and feel super comfy on my ears (the leather they're made of is butter soft, I'm obsessed with it). They also fit in so easily with my everyday life and fit into my aesthetic really well, I was even able to get marble caps to make them truly perfect for me. 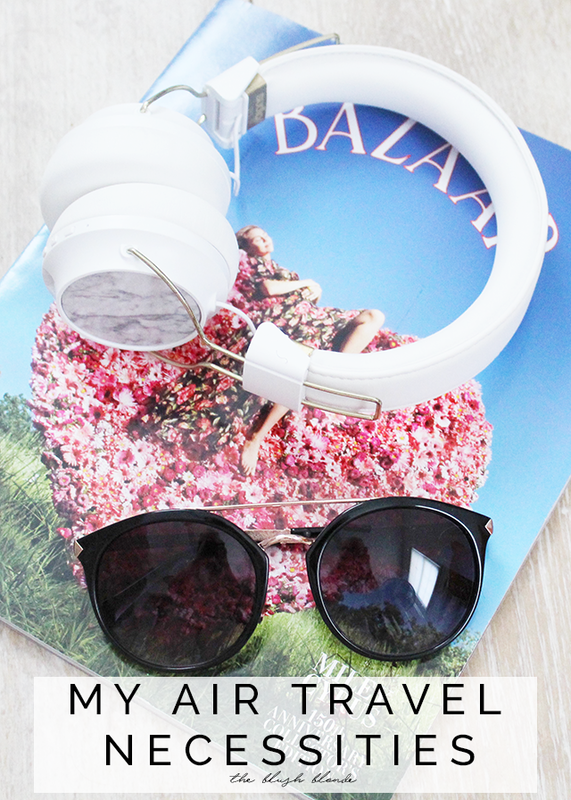 If you're in the market for a new pair of headphones for travel or everyday needs head to Sudio's website to check out their selection (they offer smaller, more compact options too) and use the code THEBLUSHBLONDE for 15% off your purchases! Sunglasses probably seem like a weird thing to bring on a plane, but I always make sure to have them to use as a sleep mask of sorts. I don't love traditional sleep masks as they feel very restrictive and can ruin your makeup, but sunglasses do neither of these things and also serve as a little "do not disturb" sign when you're sleeping. If you see me with my headphones and sunnies on on a plane chances are I'm sleeping 😉 ! They're also important for me to have in case a migraine strikes since I am super sensitive to light when that happens; I can just pop these on to soothe some of my discomfort though, which is always much appreciated. For as long as I can remember I've always enjoyed reading while I'm flying. I usually grab a few magazines once I get through security and this is something that I look forward to when I'm flying. I am a huge fan of fashion magazines so getting a new crop of them to read while I fly is a ritual that I love! If the flight is longer I'll also try to bring a book with me or download one on my iPad so that I have a few different options with me. If it's a long flight I'll also alternate reading with watching movies and I like to have lots of different choices with me so I can go with my mood. These are the few things I have to have with me when I fly to make my flight more enjoyable, what items do you need to bring when you fly? *I was given Sudio Regent Headphones by Sudio to facilitate my review, however opinions of this product are all my own. 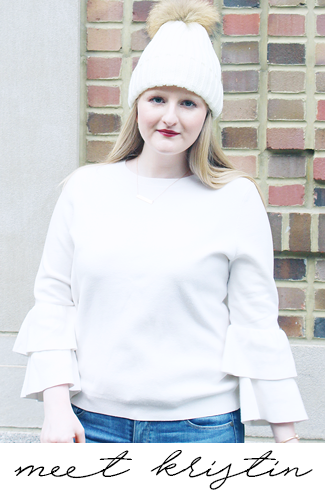 Today I'm linking up with Midweek Inspo, Oh Hey Girl!, WIWW, I Feel Pretty, and Trendy Wednesday. Totally agree with your list! I forgot my headphones once on a flight and it was miserable! Omg, those headphones are to die for!! I gotta look into those!! Yes yes to all of the above! Especially if you have a crying baby on the flight! haha Headphones are a must! 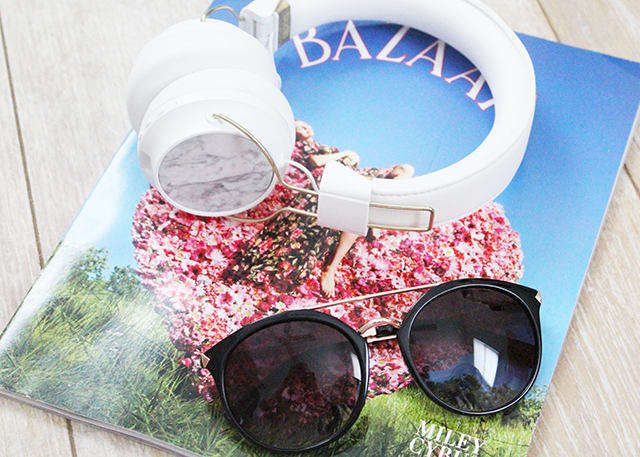 Headphones are a def must have! I also like to keep hand sanitizer bc it can be a bit germ-y on those flights! These are all true! I usually like to blog while I'm flying but music is still a must! I have to have my headphones during a flight or I get so antsy! It also keeps people from trying to chit chat with me if all I want to do is relax and take a nap! Omg I love those headphones!!! When are airplanes going to support bluetooth headphones?! jeez.